Winter in Melbourne. Traditionally not a great time for selling property as gardens are dormant and many people are focused on other activities such as school holidays, overseas adventures and the football. In terms of new trends, we are seeing a growing section of the market (in particular the family home buyer) moving away from larger blocks of land in favour of functional, well-designed homes in close proximity to the shops and transport. As a result, we are starting to see big variances in the suburb dollar/sqm rates depending on the land size, orientation and location. For example, 1 Mildura Avenue, Sandringham (which has been bought as a new build site) recently sold for over $3,000 sqm, a figure more commonly seen in Brighton. More than ever, if you are a buyer in this market having a greater understanding of where the market ‘sees’ the value of the property will be all–important. While there has been plenty of talk in the media about the market pulling back over recent weeks, we and many others think the market is still travelling strongly. Traditional supply and demand market indicators are still suggesting that the demand to buy is greater than the stock levels available to choose from. Whilst auction numbers are down, predominantly as a result of the holiday period, there have still been some strong results. 9 Malua Street Ormond (Aviv Samuel, Gary Peer) 5/7/15, $2.6185m. A landmark home, this was a large Victorian needing update work on approx. 1315sqm land, with two street frontages. 6 Grange Road Kew (Tim Picken, Kay & Burton), 3/7/15 (Friday evening auction), $3.82m. Opening at $3.3m, most acknowledged the house was ordinary, the real value was in the approx. 860sqm of land (which was free of easements and overlays), selling for $4,441sqm. As the holidays draw to an end, a number of campaigns commencing Saturday were well attended. 9 Bamfield Street Sandringham (Danny Corcoran/Sam Harrison, Buxton) had close to 80 people through. Keys pluses here are the position, north facing land and a liveable Fasham Johnson house likely to suit a wide buyer group, and even on the smaller land. With 1 Mildura (mentioned earlier) selling as land just around the corner for $1,405,000, the additional flexibility that this property offers will attract a larger buyer group and competition, which may result in an even stronger result. With the Spring market now approaching, buyers are anticipating good levels of new property coming on to the market. August 8th is shaping up to be the first big auction weekend, post holidays. With the ‘double 8’ date, competition could be strong as buyers (particularly Chinese) bid to purchase on this ‘lucky’ date. A sunny midday auction in the front yard of this Californian bungalow in the sought after Castlefield Estate. 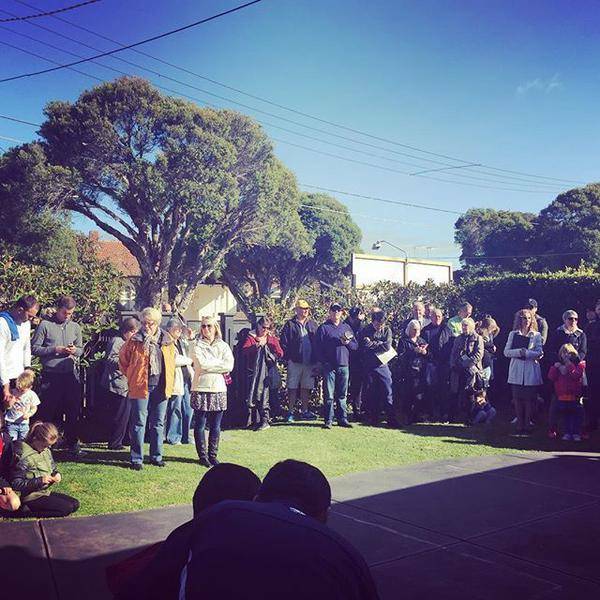 The crowd of around 70 clambered for a spot in the sun as auctioneer Rowan Thompson stood on the front veranda and went through the preliminaries. 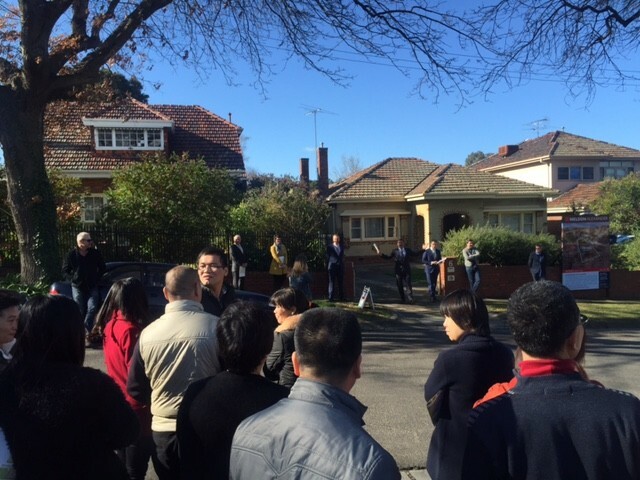 A vendor bid of $1.4m opened proceedings, before Bidder 1 joined in at $1.42m. Bidder 2 offered a $20k rise and after a quick succession of bids, the home was announced on the market at $1.52m. Bidders 3 and 4 entered the competition and the bids crept up slowly until the hammer came down to a very happy Bidder 4 at $1.685m. A brisk clear winter day greeted myself and about 100 others for the auction of this landmark ‘untouched’ South Yarra apartment on Domain Road, designed by renowned local architect Robin Boyd. Back in May this building featured as part of Melbourne’s “Exemplary Apartments” open day and rightly so. Here interiors are arranged with small-windowed service rooms on the south, while living areas and bedrooms take great advantage of sweeping views and light to the north with curtain walls of floor to ceiling glass and random balconies. 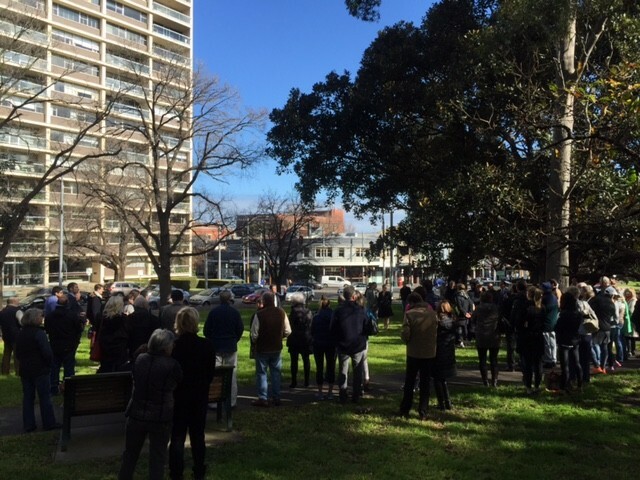 “Domain Park’ is a local icon, these apartments do come up every so often, and whenever they do there is always good interest. Yet the company share title structuring, low ceilings and often dated internal fit-outs do deter many buyers, so the ‘interest’ is mainly from locals or diehard Boyd fans (like me). 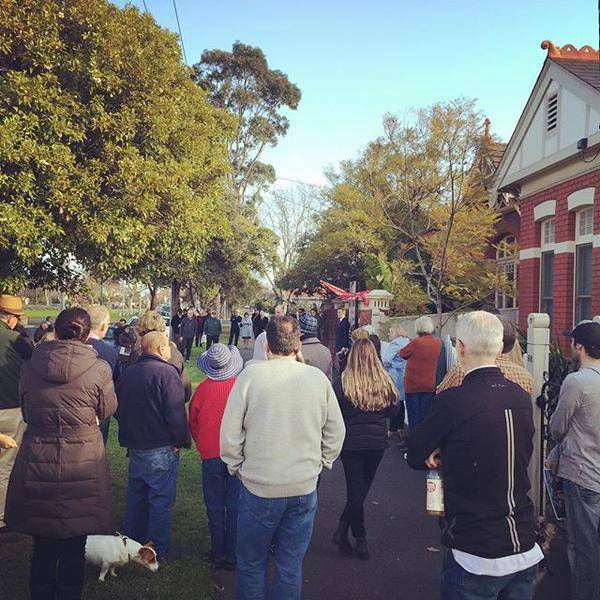 Auctioneer Marcus Chimenello and listing agent Anthony Reis conducted the auction in the park across the road – which was a great setting (and a very logical one). Marcus gave a good intro, then looked for bids. After it was clear there were none forthcoming, a vendor bid of $1.5m was placed. This did little to excite the crowd, and the vendor was referred to (luckily they were standing in the park and not back in the apartment!) and after a few minutes the auction resumed. Eventually, a crowd bid of $1.525m was offered, and that is where the auction pulled up and passed in. Sold after for an undisclosed price. A residential property with 726sqm of land in the heart of Kew? In this market, which has been very well supported for some time now and mainly bought by Chinese families, such a property should sell well, even though this is a cold winter’s day. But there is a catch. This home is an original one needing upgrade work and is deemed ‘contributory’ by local council, so effectively it cannot be knocked down. Given this, such properties traditionally have had limited appeal. ‘Would this be the case today?’ I pondered – along with about 80 others who had gathered to watch proceedings. Auctioneer Duncan McPherson energetically gave a quick spiel, and then paused for questions. An older man put up his hand and asked if the property was in a heritage overlay and if the house could be pulled down, which was no doubt a tactic to put other buyers off. Duncan responded promptly and professionally reiterating a lot of what he said in his preamble and after too much fuss, the auction was off and running. 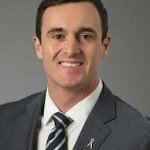 Opening with a bid of $1.9m, the auction took a bit to get going until Bidder 2 entered the fray, asking a few times if the property was on the market in the early $1.9ms. It wasn’t then, but was at $2.0m and two new Chinese parties started playing now for keeps and the property sold under the hammer for $2.35m. A strong result, but in this market not a totally crazy one. The landscape is changing though for what the Chinese are starting to buy, and it seems in this market that other than properties that defy good feng shui principles, then any property is good enough to buy. Agent Opinion: How are stock levels looking now that the school holiday/winter hiatus is over?